What are food – inflammatories? Food that can trigger an inflammation is considered an inflammatory. Women with endometriosis/ or adenomyosis should stay away from these inflammatories to lessen flare up & discomforts we experience regularly. Inflammation – is our body’s immune response, a natural response to protect itself from harm. When our body is in continuous inflammation due to stress, bad habits & unhealthy eating, it becomes “chronic” manifesting into various symptoms such as; fatigue (loss of energy), digestive problems like diarrhea or constipation, skin issues, allergies, asthma, depression, anxiety, & high blood glucose levels. With body in constant inflammation, our cells start attacking our body (auto-immune response). This results to many illnesses, e.g. rheumatoid arthritis, heart diseases and cancer. So what are these inflammatories that we should get rid from our diet? After that very painful attack recently, I’ve made a decision to really eliminate the inflammatories in my diet. In our international community we call it – endodiet. I thought I was going to die in severe pain, while vomiting everything I ate that day. Perhaps, this is life-changing for me, optimistic as always, dealing with endometriosis while helping fellow endo-sufferers by sharing my story, learnings and researches. Usual expression, but it is true – food is medicine. Since inflammation can have so many triggers and there are inevitable factors such as pollution, injury or sickness. We have the power to control and be mindful of what we eat/drink to stay healthy or pain-free. Join me for further studies on how to help and manage our unique condition. Next post we will discuss the best anti-inflammatories. This is the continuation of post what to do when you have both endometriosis & adenomyosis. If you are like me, sadly, having both endometriosis and adenomyosis – we have natural alternatives to deal with these conditions. No need to suffer in silence, I know entirely how you feel and the infallible agony you are going through, for I’m experiencing it too! I sympathised with my endo-sisters in their 20’s or 30’s who had hysterectomy as their last resort. That’s what most doctors would recommend to end patient’s complain about pain. But is it the only cure? If there’s anything we can do to avoid the ousting of our wombs or ovaries, we would definitely jump on it right? Most especially when we’re still trying to conceive. We are often confronted with varying dilemmas of whether to have it removed or not, take synthetic hormones to mask the symptoms and pain, and the endless misconception that the pain we are feeling is “normal” for women during their menstruation. In Endometriosis Diet: Foods to Eat and Foods to Avoid, there are certain lifestyle choices that play a big role in the progression of endometriosis or adenomyosis. Foods can greatly influence the hormones, particularly estrogen balance, and can negatively affect us with these conditions. Both diseases are caused by what else – hormonal imbalance, usually an excessive of estrogen supply. The management for endometriosis and endometriosis is the conventional palliative therapy with pain medications and hormonal manipulation. Minor surgeries and the final course is hysterectomy. Endo-diet for me seems unthinkable & impractical (pardon the candidness). Of course I want to be healthy but being able to eat only what is suggested ugh! is a punishment. And so I thought of improvising, tweaking it a little bit. I call it my hormone-helper nutrition. Long name alright, it is basically a diet of having mostly plant-based whole foods and some selected supplements. I still indulge on eating seafood, pork, free-range chicken but not red meat. I now avoid red meat, alcohol, artificial sweetener and other inflammatories. I also began reducing my calorie intake and monitor my calorie consumption. There’s a lot actually, but baby steps is crucial and really important. So what is plant-based whole foods? Plant-based examples; almond milk, coconut sugar, whole grains, cereal, nuts, legumes, fruits – food that didn’t undergo processing. Organic and free from chemical or GMO’s. The supplements I’m taking are posted in herbal supplements. We may have different reactions and in Filipino saying “hiyang” when certain herb improves our situation. So I suggest to do baby steps, take supplements one at a time and monitor any response. Exercise – when we sweat, our body releases endorphins. These are chemicals to help you become less sensitive to pain. It also triggers a positive feeling in the body, naming it “happy hormones”. Do you know that I went back to the gym and started doing dumbbell workouts, and I feel so good after workout. R and R (rest and relaxation) – living in constant pain can cause more stress. Making symptoms worse and you more anxious and sensitive to pain. So chill out, relax and practice deep breathing exercises. Acupuncture – this I have yet to try. It is a traditional Chinese therapy that uses fine needles to stimulate points in your body. It increases blood flow and releases natural pain-killing chemicals thus help us in pain during flare-ups. Counting Calories – which helps a lot in weight management. Using a mobile app to assist you, I have the free version of – Lose it! and thinking of upgrading to premium because of a continued effort to improve my condition. These are some points to consider or to try, paying tribute to my endo-community. I recently underwent some endometrial procedures, my doctor removed two benign polyps from my uterus (thank God) and so far I’m pain free! Having both endometriosis and adenomyosis should not dictate your life. It led however to a drastic awakening on my part, but I got up and continue to get up in spite the pain. Seek help and there’s always hope – #endohope. Years with endometriosis made me scour the internet for answers, explanations, & remedies. Spoke with many experts including my friends; Doc April Fabian and Doc Mae Syki-Young. Sadly, endometriosis and adenomyosis are both understudied and misunderstood. But no time for self-pity, not me, and so I began a crusade against most women’s health issues. The thing with doctors is that they’re too busy to explain our illness. And so when I was made aware of these complications, it hit me hard – I’m not getting well. Instead of falling into despair, I decided to continue my advocacy, share my story so others can learn from it. 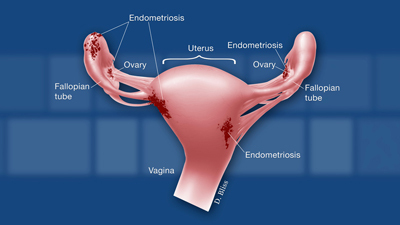 This post is to help my endo-sisters take care of themselves, save the rest of their reproductive organs in natural ways possible, manage painful symptoms, avoid further complications, when you’re like me – afflicted with endometriosis and adenomyosis. So far, I had two surgeries since the time of diagnosis. First surgery when the doctor was proudly pre-occupied in using the latest technology, yet there was lack of sympathy and everything seemed fuzzy. I thought I had to seek another opinion. And so I did. I hope it’s not too late for me, my dear Nanay (grandma) would always remind and worry about me and I was like “I’ll be okay, this is nothing.” I’ve been always “matapang” which means brave in Filipino, in dealing with life’s hurdles. Until I discovered two years ago that I also have adenomyosis. So these two plus other adhesions are my arch nemeses. Adenomyosis in brief is a condition when the tissue that normally lines the uterus grows into the muscular wall of the uterus. Similar to endometriosis with displaced endometrial tissues but the affected area is different. In adenomysis it is inside the wall of the uterus, as to endometriosis is outside the uterus and can be on other organs of the body like intestines, appendix and lungs (rare). Though there are no specific cures, you can positively help your condition with pain management, healthy lifestyle, good/proper nutrition and exercise. The food we ingest affects our bodies especially our hormones. The endocrine system like the rest of our body systems work in complex structure that begins from ingestion of nutrients. And so we shall start with food. trans-fat – Recent research showed higher rates of endometriosis diagnosis among women who consume diet high in trans fat. Trans fat is found on fried, processed and fast foods. red meat – the consumption of red meat can increase risk to develop endometriosis as suggested by some research. gluten – there’s one study showed a decreased in pain by 75% after eliminating gluten in their diet. 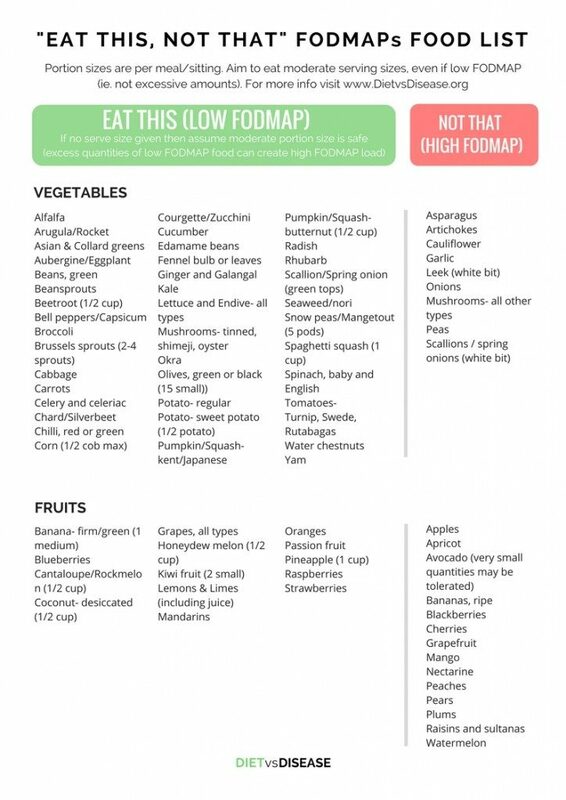 FODMAP – stands for Fermentable Oligosaccharides, Disaccharides, Monosaccharides and Polyols. These are all types of carbohydrates. When poorly absorbed, these can aggravate symptoms of IBS (Irritable Bowel Syndrome) including bloating, constipation, flatulence, pain and nausea. It is best to read the labels and watch out for the following that has FODMAP in it; fructose, lactose, polyols like xylitol, maltitol & mannitol found mainly on artificial sweeteners. alcohol & caffeine – these can promote inflammation and worsening of our condition. Supplements as mentioned in this post – herbal supplements for Endometriosis were found to be also beneficial. Studies showed significant reduction in pain & other crippling symptoms using supplementation. There’s just too much, ikr! but ladies don’t lose hope. We can do baby steps, and remember you’re not alone. Saw this battle cry unanimous for all of us suffering from endometriosis. So what is really the difference between a regular menstrual discomfort and endometriosis? In order to understand completely one’s affliction is to have one. Pondering through the imponderable – a condition that is widely misunderstood and how to live above “it.” The dilemmas we endo-sufferers usually encounter are finding the best and sympathetic doctors, accurate diagnosis that will not take years, and having the right treatment/managements. It all begins with understanding this condition. Endometriosis is an ailment while menstrual pain is merely a symptom, an indication. Menstrual cramps last about two days only while in Endometriosis, it can be everyday or intermittent. Cramps can be considered normal if it’s not disabling and severe. It would be best to see your doctor if your menstruation starts to feel odd, irregular and or extremely painful. I’m currently writing this post prior to an endometrial procedure. Yeah a bit worried, but I’m placing everything in God’s hands. The thing with endometriosis is that you can never be complacent, even in the absence of pain, one has to continuously see a doctor and a regular check-up/diagnostic test is crucial. There’s no other way to monitor our condition but through periodical ultrasound. I always feel the need to reach out to my fellow 176 million endo-sisters worldwide through writing and sharing my journey. Hope is definitely a powerful driving force that renders us strength and courage especially in this trying times. Tried some supplements to alleviate its symptoms and help my body counteract the side-effects of taking various pharmaceutically made hormones. Sharing in the post herbal supplements for Endometriosis. This blog aims to help endo-sufferers find hope, ease symptoms, prevent avoidable complications and to spread awareness and understanding of their families and friends. As promised, the following are the supplements I’ve been taking to alleviate symptoms and perhaps improve health. They’re either recommended or result of extensive research. Endo-sufferers may acquire some benefits from taking one of these supplements. – Used for more than 2500 years, it is known as the “strength of the stallion” because it is traditionally used to strengthen the immune system and also referred to as the Indian Ginseng. I take this in capsule form since it is more practical than consuming it as food. – became my instant favorite fruit/supplement. And here’s why; helps improve immune function, decreased blood pressure, high in vitamins C, A and K, prevent cancer, lower risk of Urinary Tract Infection aaand half a cup comtains only 25 calories. I usually add it in baking oatmeal cookies or drink store-bought organic cranberry juice. Also a great healthy snack as trail mix – combine with nuts like almonds, pistachios or hazelnuts, oats and other dried fruits. – This herb provides a precise indication which is to ease Endometriosis symptoms. A Mediterranean and Central Asia native, this tiny berry (as small as peppercorns) alleviates PMS (Pre-menstrual syndrome) symptoms, increase lactation, and treat menstrual symptoms while balancing hormones. It’s said, that effect will take months to be noticeable. – perhaps, a separate post is needed for the advantages of taking chasteberry/vitex. – from the seed of primrose hence the name, used by pregnant women to prevent high blood pressure (pre-eclampsia), shorten labor and prevent late deliveries. It is also used for PMS, breast pain, and most importantly endometriosis. – Essential fatty acids are necessary in bodily functions but our bodies can’t produce them. Evening primrose oil contains “essential fatty acids” which is the building block for cell membranes and other hormones. Essential fatty acids also seem to help decrease inflammation related to conditions such as arthritis and eczema. – I discovered this in tea bags from a local herb store while buying other supplements I mentioned above. This tastes so good and has many health benefits, too. It boosts fertility in women, aids the immune system, protects the heart, supports faster metabolism (ooh, I like!) and regulates hormones. – the tea is made from dried raspberry leaves and has a bunch of vitamins and antioxidants, including vitamins B, C, & E, potassium, iron and magnesium. So this tea, aside from its health benefits on women is also good for men and their cardiovascular health. Like peppermint, this tea is beneficial for those suffering from cold, flu, psoriasis, eczema, acne, obesity, indigestion and constipation. – yes, one of my favourites in the list and will also make a separate detailed post on this. Alongside chlorella, is the most talked about superfoods because of its powerful nutrition-packed profile. Believed to boost the immune system and detoxes heavy metals (especially arsenic), prevents cancer, reduces bad cholesterol and lowers blood pressure. Taking these supplements may require more validation by research and studies, but it has proven to be helpful in my case. There’s no harm in trying, in fact nature is the best physician. We might as well believe in these herbs God has blessed us, to help us and ease our sufferings. I do not know how to begin my next personal entry. I’m pretty sure others would be eager to learn that my condition became worse. While a few close family and friends are immensely concern and worried. I believe there’s a power to every story. My Endometriosis Story: Post Op. Recently, I have been getting sicker. Been bleeding for more than a month now. And so I decided to see my trusted doctors, one happens to be a good friend of mine. I’ve missed them, it’s been a long time since my last check-up. They’re genuinely compassionate, I can feel it. And they talk to me straight, only mere facts, without any sugar-coating. My years with endometriosis is exhausting, there are times I refused to visit a local specialist because I know she’d remind me the same dismal news. It’s also tiring to always explain my condition, the more if inquisitor is clueless about this “incurable” disease. And to my fellow endo-sufferers, surely you can relate – people often think we make all these up or it’s all in our heads. Sadly, it’s pain who is talking. I tried to mask the affliction by managing my weight. Taking different medicines, oral therapy (hormones), supplements and herbal, to the point of repugnance is a daily norm. First, I had an ultrasound followed by SISH (Saline Infusion Sonohysterography). Both are endometrial procedures to diagnose and identify the cause of this haemorrhage. After a thorough and cautious examination, they found a polyp & among other complications of endometriosis. Something unfamiliar to me, seeing it from the monitor I thought it was a fetus (I wish!) but oh no, it was a tubulocystic structure called hydrosalpinx. it was a tubulocystic structure called hydrosalpinx. Hypdrosalpinx – is a type of fallopian tube blockage. Read it here hydrosalpinx, causes and treatment. Distended in my abdomen, it appeared sausage like and a probable complication of endometriosis. Along with other pelvic adhesions, I was told that conceiving is now non-viable. It is easy to succumb and dwell on despair and sadness when one is overwhelmed with trials. And so I try to see something good, something to be thankful for in my everyday life. Waking up pain-free is what I cherish the most, being able to take no medication for a day is next. We, together with my loving family and trusted doctors, deal with it one at a time. And it helps to be hopeful, hope gives us incredible strength. hope gives us incredible strength. My endo-sisters our journey through pain is much sweeter if we hold on to our family, to our loved ones, if we face it together. Facing it alone will just makes things worse and heavier. I thank God for I found a local community that I can relate with, and to be part of an international organization that’s united in one goal – to end endo. and why He did this is a secret known only to Him. To simplify its definition – Our womb (uterus) is where a baby grows when pregnant. Endometriosis is a disease in which the kind of tissue that grows inside the uterus grows outside the uterus. Our womb (uterus) is where a baby grows when pregnant. Endometriosis is a disease in which the kind of tissue that grows inside the uterus grows outside the uterus. The procedure provided a great relief but it was short-lived. For new findings of cysts, adenomyosis and enlargement of uterus were seen recently as bleeding becomes heavy again. I regret relying on the temporary relief of surgery. I thought that was it and oblivious of what could have been a chance for me to be healthy-er. Many studies showed that unhealthy diet, chemicals and environmental pollution, lifestyle and mostly stress, compounded over time are the culprits behind our afflictions. Though there is no clear explanation for the cause of this illness, I believe that I’m guilty on the “work-related” stress, environmental factors and unhealthy eating which brought me to this present state of health. About a month ago, I become a member of Endometriosis Philippines Group, and it’s heartwarming to belong to a group that knows exactly what you’re going through, to have an advocacy and bring awareness to this disease. Next post I will share the medicines, supplements, homeopathic medicines and vitamins I took or currently taking, which provided relief or just a waste of money. Of course, my body’s reaction can be entirely different from yours. Still hoping to help other Endo-sufferers.